SURAT THANI: The developer of the first airport on Koh Pha Ngan, home of the full-moon party, is seeking a capital injection of B1.5 billion to complete the facility. 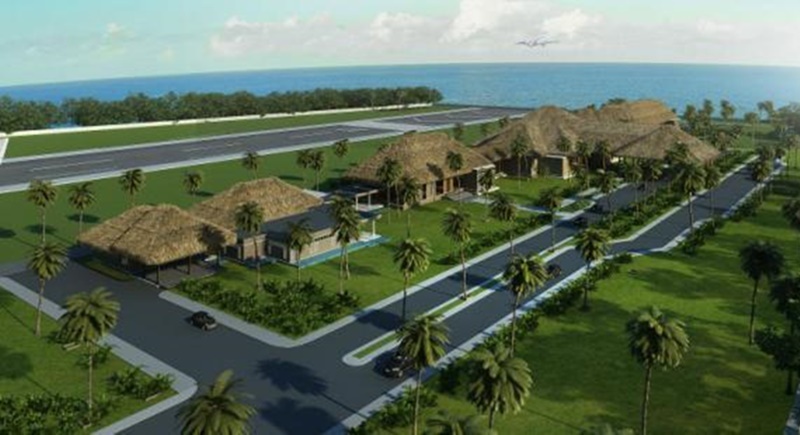 Kannithi Aviation (KA), which operates commuter carrier Kan Air, is in talks with a few foreign financiers for soft loans to finish the airport, as costs have run up to about B2 billion. President Somphong Sooksanguan said that the company had opted to acquire funds via loans rather than a joint venture to ensure that the project can proceed more smoothly. The company is seeking foreign loans, which incur only 2 per cent annual interest compared with the 7% charged by local banks, to help drive project costs down, he said. Kannithi Aviation is moving to tackle the financing issue in anticipation that Thai authorities will endorse the environmental impact assessment (EIA), a major prerequisite for starting construction on such projects, by year-end. The company has already spent some B500 million in acquiring about 200 rai of land on Thailand’s fifth-largest island, with some land grading having already been carried out. Mr Somphong said the funds will go towards further land grading, building a passenger terminal capable of processing 1,000 passengers a day and a 1,095-metre runway which can accommodate turboprop aircrafts in the size range of the ATR 72-600 series. If everything goes according to plan, the airport will be up and running by the end of next year, he added. The project, originally estimated at B900 million, has faced inflated costs, delays resulting from the EIA and other complications, which pushed back initial plans to open in 2014. Once operations get under way, the airport will be open to commercial airlines as well as Kan Air. It is set to provide direct air access to Koh Pha Ngan island for holidaymakers, especially international revellers attending the world-renowned full-moon party. Currently visitors can only reach the island by ferry, either from Surat Thani, which is 55 kilometres awa, or Koh Samui, which is 15km away. Bangkok Airways operates an airport on Koh Samui, Thailand’s third-largest island. Once it is completed and regular services are launched, Pha Ngan airport will siphon away some air traffic from Koh Samui, particularly foreign tourists heading for the full-moon party and those seeking a less crowded alternative to Samui. Lying north of Koh Samui and two-thirds its size, Koh Pha Ngan has beautiful beaches and less expensive accommodation than its neighbour. Swerv:  I know that the original building costs of B900 million have gone up to B2billion. You not need to repeat that. You not need to repeat that. Was the budgetting, building schedule done by kinder garden? Kurt: The original overall cost was budgeted at 900mthb but has now increased to 2bn. 500m has been spent on acquiring the land which would be about 2mthb per rai plus grading. The project has NOT started to build yet because they are waiting for the EIA to be issued. Your comment: Costs have run up to B2 Billion? For what? Just land buying and partial grading? For a interest rate of 2% only instead of 7% ( by thai banks). More than land buying and a bit of landgrading has not been done yet. We can not call this project as something 'to finish it', it hardly started. Only B500 million have been spend ( of the B900 million).